Raul Albiol wants Cristiano Ronaldo to remain at Real Madrid as he considers the forward to be the best footballer in the world. Although the Portuguese star has not intimated a move away from Santiago Bernabeu, his ‘unhappy’ episode in September showed that his future is far from concrete. 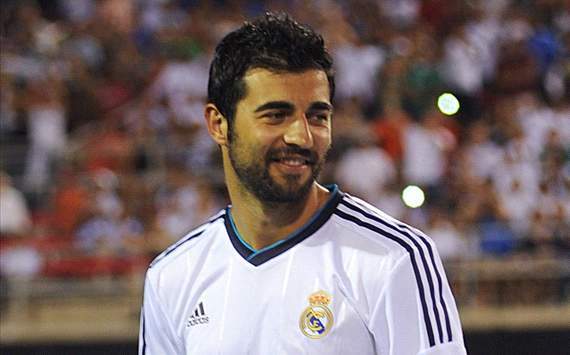 And Los Blancos defender Albiol said he hopes that the former Manchester United forward remains a Madrid player for the foreseeable future. Albiol also spoke out against the furore that has been caused by club captain Iker Casillas being dropped by Jose Mourinho for Madrid’s 3-2 defeat by Malaga in the final match before the current winter break. “After 10 years as the No.1 keeper, the day Casillas is on the bench is a surprise for everyone,” the defender admitted. “But at the same time, the controversy it’s generated has been too much. Even Iker said so.